One of the main Important and necessary thing, while preparing for CTET exams is the strategy, to crack the exam. When you plan a strategy for a competitive exam, you must follow some important tips and tricks. After going through these important tips to prepare for CTET 2018, you are not far away from acquiring a CTET certificate. It is very important for you, to know the Exam Pattern. The question paper will comprise of 150 questions. 1 mark for each question. The exam will be conducted in two sessions for paper 1 & paper 2 respectively. Paper 1 (Class I - V) comprises 5 sections. You must be aware of the entire CTET syllabus for the Paper, for which you are appearing. Paper 1 (Class I - V) is the same for all the candidates. Paper 2 (VI - VIII) will be prepared for science & social science candidates respectively. To get a CTET certificate, you must secure minimum qualifying marks >= 60%. 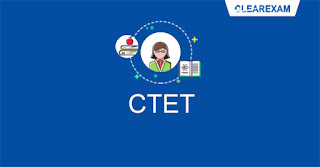 CTET certificate will be valid for 7 years from the date of issue. You should make your own notes for CTET preparation. Important points should be mentioned in them. These notes will be very helpful while you don't have sufficient time for a revision to escape you from hassle situation. 5. Know about your weak areas & focus to improve them. You must be very much aware of your weak points. You must try to improve your weak areas. To overcome your weak areas, regular practice should be done. These are the important tips to prepare for CTET 2018. Above mentioned books will be very helpful for CTET Preparation. Now make your dreams come true with these helpful tips & books.